Everybody loves an auction; that's why eBay is as big as it is. Across the country there are local auctions almost every day and for sure on the weekends and you can pick up some great stuff really cheap either for your own use or for re-sale. Everybody thinks they can get a steal on some great stuff and if they are going to sell; they can make a bundle. This is largely true but having been to some auctions, I found them very fast paced and left me little time to think and formulate my bids. As a result, I didn't buy much but this got me thinking and I developed the following system to capitalize on auction deals. First of all, if I can't get a great deal on something why bother going through all the machinations and perhaps buying something that doesn't work or can't be sold for a profit. I was interested in buying stuff, any stuff, and being able to sell it at a discount and make a good profit. So I built an Excel spreadsheet that I can use on my smart phone and help me know what my maximum bid per item can be. If you have a Windows based smart phone, it will work for you too. Going to an auction is very fast paced and you don't want to get caught up in the moment and pay too much for junk. You want to make a profit by being able to sell your purchase at a discount (selling at a discount = faster selling time) and make a good profit. Often you will need to contract with a "rigger" to disconnect this product from where it sits now and transport it to your place and maybe hook it up again so you can demonstrate that it works. Let me walk you through an auction to demonstrate the value of this program. I found about 125 miles away that I want to attend and buy my product. I entered 125 miles into the program. My truck gets 19.333 miles per gallon and the cost of gas is $2.10. I figure I will spend one night in a motel for $50 and will spend about $50 in meals for the two days I'm gone. The program tells me that I will spend about $27.16 in gasoline and that it will take me 2 hours and 5 minutes to get there driving 60 miles an hour. I get a list of items to be sold at the auction along with pictures and descriptions and research the values of the items I am interested in. I can use either used values or new values but I need some value to base my bid on. I come up with 10 products I've interested in and have new values for 3 of them and used values for 7 of them. I can carry most of the items back in my truck but one of the items, I think is worth $3,000 used, will need to be shipped for me so I contact my rigger and get a ballpark price to ship it at about $300. Now, what can I pay for this item if the auction is going to charge me an 8% fee and I want to make a profit of at least 40% based on the information above? Do you have any idea? Quick, the bidding has started, someone has already bid $500, what do you do? Well, I put all the data into my program before I get to the auction. I try to pay about 10% of the value as a final price but let's see what happens. I need to know the maximum amount I can bid to achieve my 40% profit margin and offer the product I am going to buy to my buyers at a 25% discount. The program will tell me how much I can bid if I need to cover all my travel expenses + my freight back expenses + the product expense. It will also tell me how much I can bid if I just need to cover the cost of the item + the freight back. It will also give me my maximum bid if I only want the cost of the item and I will transport it back. I know at a glance how much I can bid to achieve all my goals and make a profit. So while others are scrambling about and fretting, I know the max I can bid no muss no fuss. On the picture below click on it to see a larger graphic, then click the back button on your browser to return to this page. 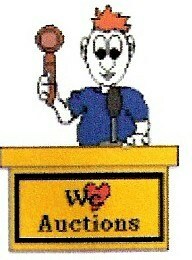 To summarize; The AuctionGuru is easy & fun to use and will get you better auction deals. Provides you with the maximum bids you can pay to meet your expenses and your profit margin projections. Anywhere in the country there are local auctions almost every day. 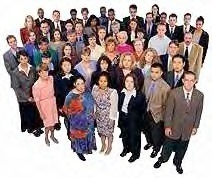 We show you how to find their locations, what to bid to prottect your profit margin etc. Big profit potential from local auctions. Great Deals At Local Auctions !!!! Its Simple to Use, FAST and Best of ALL ...... IT WORKS !!!!!. Upon receipt of payment your complete package will be emailed to you for fast easy download and save any Shipping & Handling fees. If you choose to get this material sent to you on disk via US Mail, please include $10.00 to cover additional shipping and handling. NOTICE: Like all software retailers, due to the ease of software copying, all sales are final. We guarantee the receipt of our products as advertised. We can not guarantee how our programs will be used and how much effort is used with any program. As a result, we can not guarantee the results from the use of any program. Work at Home in a Real Home Business, these are proven top home businesses, easy & cheap to start; you could be in your business tomorrow as materials are emailed to buyer once their order is processed. Below are just a few notes from some of our satisfied customers. We copied everything they sent, even the misspelling of the word lighting in item 7. These are just a small few of the positive testimonials we have received from our customers. We are proud of these and you can feel safe that your products will be received in an equally positive manner.